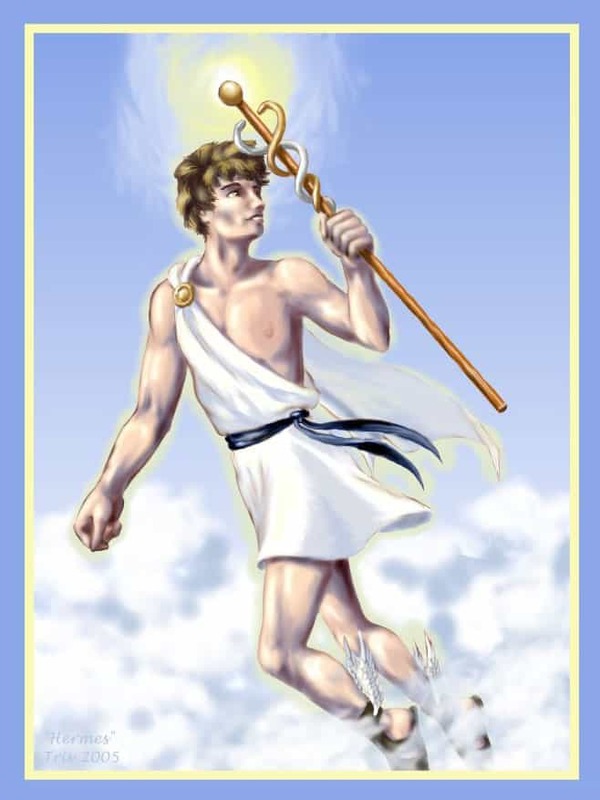 Also known as “the messenger,” Hermes was the son of Zeus and Maia. He has been depicted in many different ways in poems, plays, and myths. Popularly, he comes across as a handsome, athletic, beardless youth and sometimes as an older bearded man. Hermes was a quick thinker and even quicker with his movements, and he was notorious among the gods for his cunning. 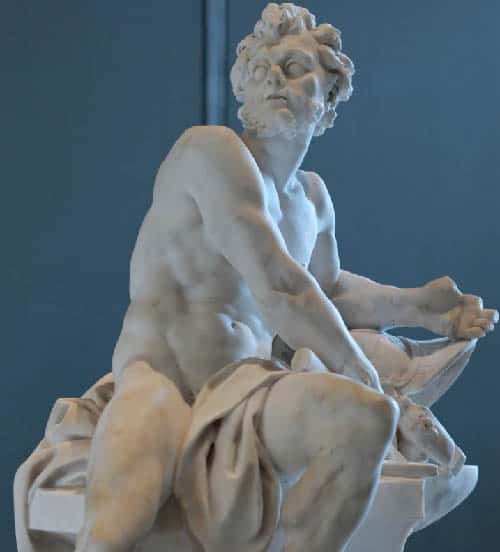 Since he could easily move between the three main worlds in the mythological paradigm of ancient Greece: heaven, the seas, and the underworld, he often acted as a messenger for the gods. Given the cunning tricks he would play on fellow gods for his own amusement, one can find stark similarities between him and the popular Norse god Loki. Just to give an example of how elaborate his tricks could be, it is said that he jumped out of his crib when he was a baby, stole Apollo’s cattle and returned to the crib the picture of innocence. No wonder he was also known as the god of cunning and thievery. Popular in Greek folklore, the god of fire, Hephaestus, was associated with the realm of heaven. His beginnings have been described in contradictory terms by Homer and Hesiod. Homer describes him as the crippled son of Zeus and Hera, while Hesiod takes a rather unconventional (and far more intriguing) route by stating that Hera bore him alone. He was born with a limp, which led his mother to throw him off Mount Olympus, though by different accounts he intervened in a brawl between Zeus and Hera and ended up getting dragged off Olympus by the mighty Zeus. Once he fell to earth, he went on to become a prodigious craftsman and was eventually reinstated to heaven where he made a number of marvelous items for the gods and goddesses. He also created majestic armor and shields for the gods, the most famous of them being the one donned by Achilles in the Battle of Troy. Born of Zeus and Hera, Ares was also known as the god of war. But he reflected the violent and gory aspects of war far more than the righteous and just violence for the greater good. He was always willing to wreak havoc just to display his might in battle and rarely thought of fighting for justice or self-defense. His acts of imprudence led both his parents to despise him and look up to his sister Athena instead. Despite personifying the sheer ruthlessness of war, he also came across as a coward through his outrageous reactions to the slightest of injuries in battle. He was madly in love with Aphrodite, who was already married to Hephaestus. Their affair was not a secret among the Olympians and led to much disdain. As such, Ares was never very popular among men or gods and was not followed or worshiped by the masses. Widely known among the ancient Titans, Cronos was the ruling god before the age of the Olympian deities. The Titans were known for their colossal bodies and equally massive brute strength, among whom Cronos proved himself to be the strongest when he became the ruler by castrating his own father, Uranus. But once he came to power, much like his despised parent, Cronos became rather suspicious of his children – the most noticeable ones being Zeus, Poseidon, and Aphrodite. In his utter paranoia, he swallowed them to keep them from ever surpassing him. But his mother Gaia and wife Rhea were able to rescue Zeus who fought him off and banished him to the dreaded Tartarus in the underworld once he had freed his siblings. The end of Cronos heralded the age of the Olympian deities who would go on to be far more popular in Greek mythology than their predecessors ever were. 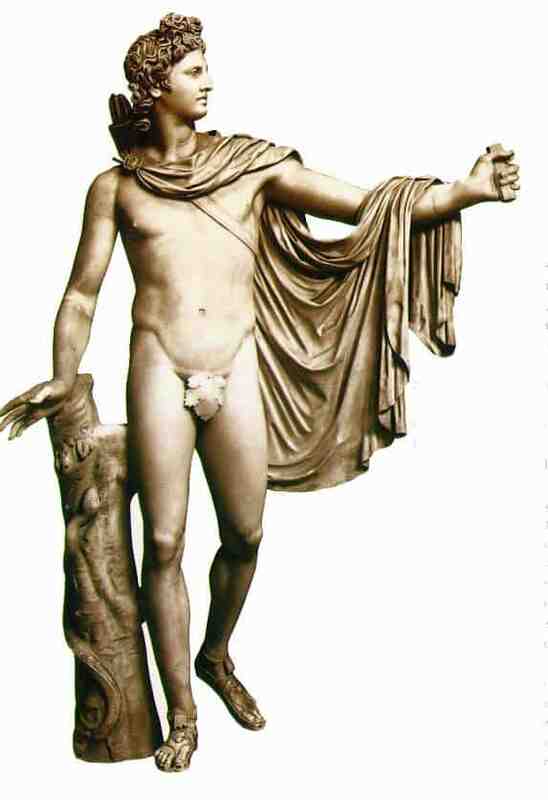 The twin brother of Artemis, Apollo was a god with many facets. His father was, again, Zeus and he was born to his mother Leto on the island of Delos – the only refuge they could find from an enraged Hera (no surprises there). Leto was so overwhelmed with the care she received from the inhabitants of Delos that she promised that Apollo would always favor them and ensure their prosperity, a promise which he went on to honor. As mentioned earlier, Apollo has many facets which were rather contradictory. He was the god of serenity and music and was often depicted with a lyre. He was also a skilled archer who could often be seen with a silver bow. He was considered the god of healing and medicine but when enraged, he would bring about death and despair with his arrows. He would harness his four-horse chariot and move the sun across the sky every single day, providing light and life to the earth. Being a prophetic god, he was a celebrated figure among the oracles, and they established Delphi as a site dedicated to worshiping him. 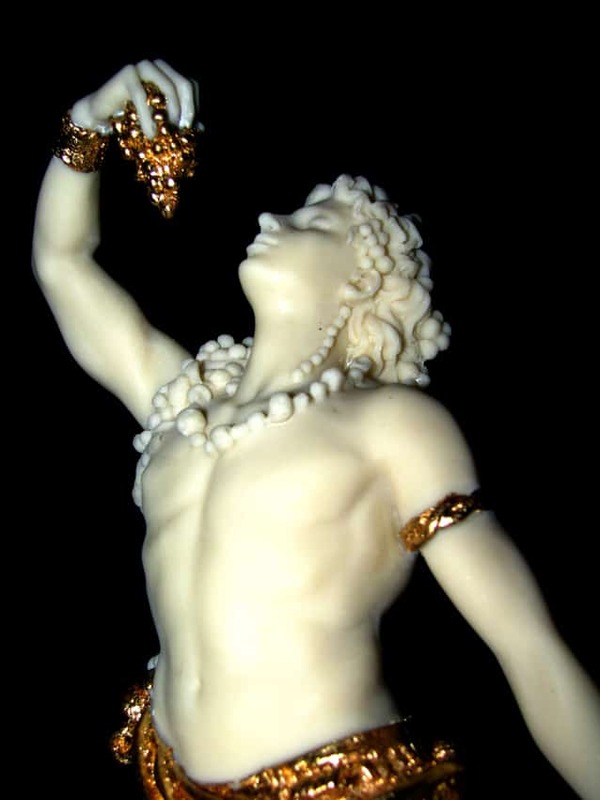 Being the god of festivity, pleasure, and wine, he was quite a popular deity – both among gods and mortals. He is the only god who had a mortal parent in the form of his mother Semele, his father being the mighty Zeus. He was brought up under the protection of mountain nymphs since Hera, Zeus’s wife, was jealous of her husband’s romantic adventures outside their marriage. Dionysus slowly built a cult of followers who would accompany him on his journeys around the world. He was far more interactive with his followers than the other gods, feasting, drinking, and living life to the full with them. He fell irrevocably in love with Ariadne, who was despicably abandoned by Theseus when she fell asleep on the island of Naxos. The Greeks celebrated many festivals in his honor, and it would not be an overstatement to say that he was far more popular than Zeus in many parts of ancient Greece. One of the most popular Titan gods, Prometheus is held in high esteem among the great benefactors of mankind. His father Iapetus was also a Titan but his mother was an Oceanid. Being the god of forethought, he foresaw the defeat of the Titans at the hands of the new Olympian gods and cleverly sided with the Olympians during the battle, thus escaping imprisonment at Tartarus along with the others. Prometheus was then assigned the task of molding mankind out of clay. Once he was done creating mankind, he became rather attached to them, always worried for their welfare. This led him to cross paths with the mighty Zeus time and again since he did not care so much about humans. So when Zeus took away fire from mankind, Prometheus stole it from the heavens and gave it back to the humans. Zeus punished him for his treachery by chaining him to a rock where an eagle would eat his liver every day (his liver regenerated every night for he was immortal). Eventually, he was freed from his agony by the powerful demigod Hercules. When Zeus and his brothers drew straws to decide who got to be the lord of which realm, Poseidon drew the realm of the seas. In this way, he became the ruler of the seas and, along with his wife Amphitrite, led a group of lesser gods that included Triton and the Nereids. Being the lord of seas, he was widely worshiped and followed by seamen and voyagers. But his influence was even more far reaching. Historians cite him as being a major deity in several ancient Greek cities. In terms of sheer power, he came second only to the mighty Zeus. 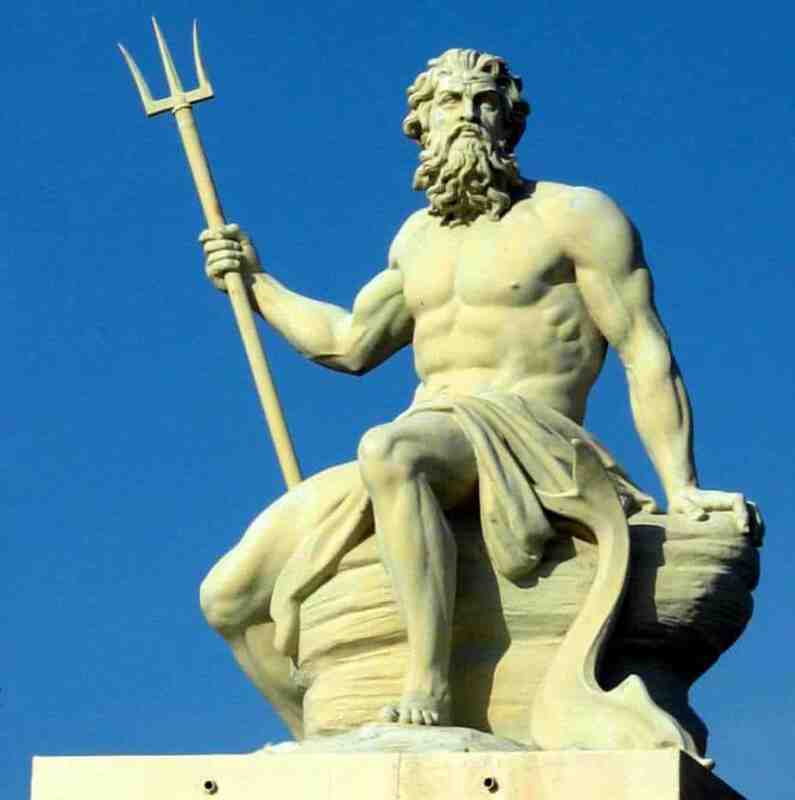 As well as taming the power of the seas, he also carried a trident which could cause massive earthquakes with a single strike. At some point, he fell desperately for Demeter who asked him to create the most unique creature if he was to win her. It is said he made a number of animals in his quest and finally created the first majestic horse. Following the advent of the age of the Olympian gods, Hades became the ruler of underworld – a place where only the dead could enter (though there were quite a few exceptions to that). Naturally, ruling over such a gloomy and dismal realm seldom led to a good impression, making him less prominent in Greek mythology. However, many Greeks believed him to be the personification of death itself (which he was not) and paid him regular homage because of their superstition. But his evil image is a far cry from what he was actually like, for he was not as much of a bad guy as we have been led to believe. Contrary to common belief, it was not Hades who was responsible for the redemption of souls but rather the three demigods Minos, Aiakos, and Rhadamanthys would carry out the judgment. He was also pretty fair in his dealings with Hercules who approached him with the intention of capturing his three-headed dog. However, Hades hasn’t been cut any slack for tricking his love interest Persephone into staying with him in the underworld. Zeus was the god of the whole known universe that the Olympians won from the Titans. 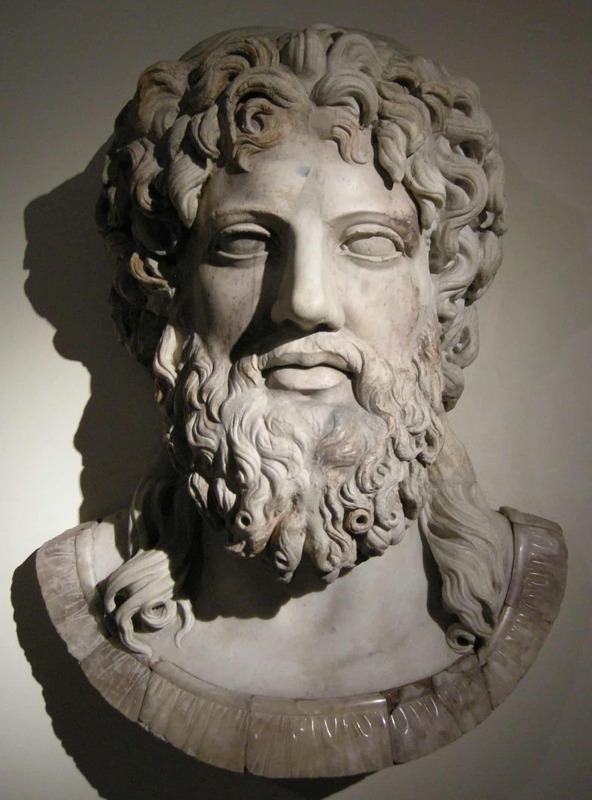 After conquering the Titans, Zeus also won the draw with his brothers Hades and Poseidon to see who would inherit the throne after their father Kronos, becoming the god of all skies and the acknowledged ruler of all remaining gods. Zeus was married to Hera, the queen of all gods, but he was also notorious for his romantic escapades outside his marriage. He was known as the father of the gods, and as you might have noticed by now, he fathered quite a few children from his many affairs. Being the personification of the nature of all things, he constructed the order that became the basis for the different realms. He also regulated time in the form of the changing seasons and alternating day and night. He ruled with absolute authority and command over his universe but he also had a bad temper and was very easy to provoke. He would respond by hurling thunderbolts at those who displeased him. The ancient Greek gods listed here laid the very foundation of Greek mythology that keeps on enchanting readers, writers, and storytellers to this day. These gods were not only significant in their own realms and mythological paradigms, but they also had a noteworthy impact on the civilizations that succeeded the ancient Greeks. 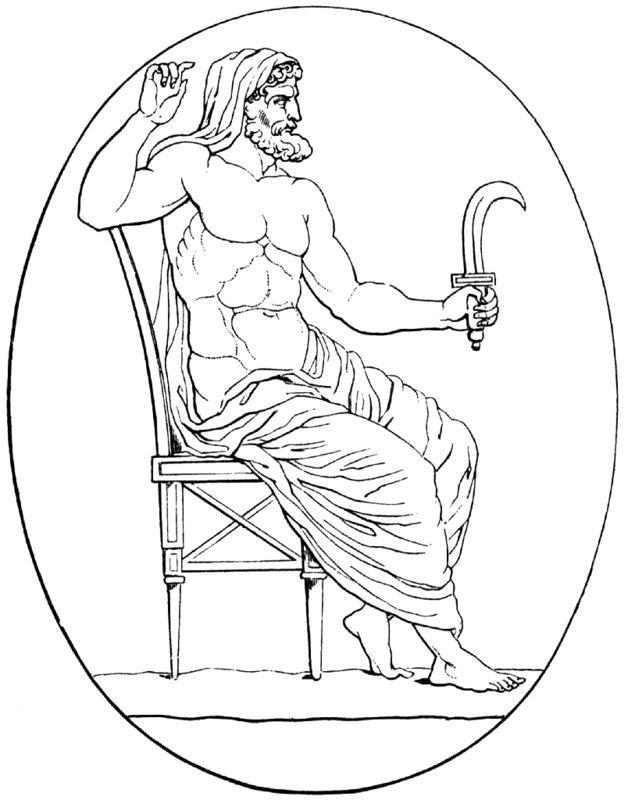 With his power and might, Zeus remained the undisputed leader and ruler of all Olympian gods, ruling over the realms from his throne on Mount Olympus. It is clear that the Greek system was biased towards male dominance (only the brothers got to divide the realms among themselves). Nevertheless, the ensemble of these legendary gods from ancient Greece still holds a charm over historians and common people today. Alright, two things wrong. 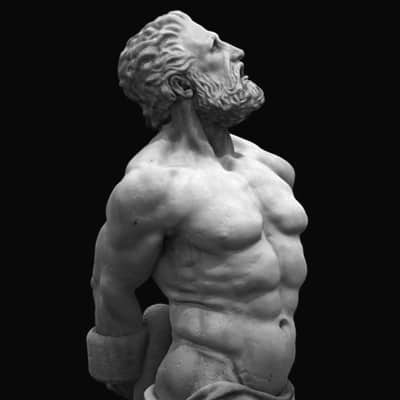 Hercules is the Roman version of Heracles. Heracle s is Greek. Second thing. 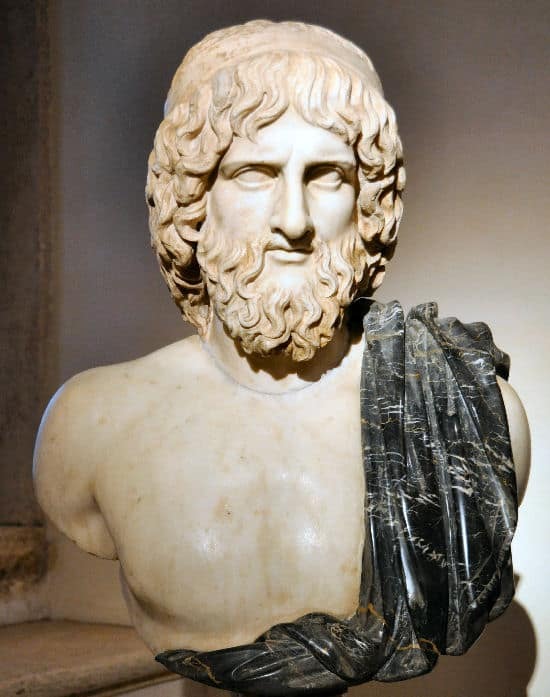 Heracles WAS a Demigod, but he was blessed with immortality after his death. 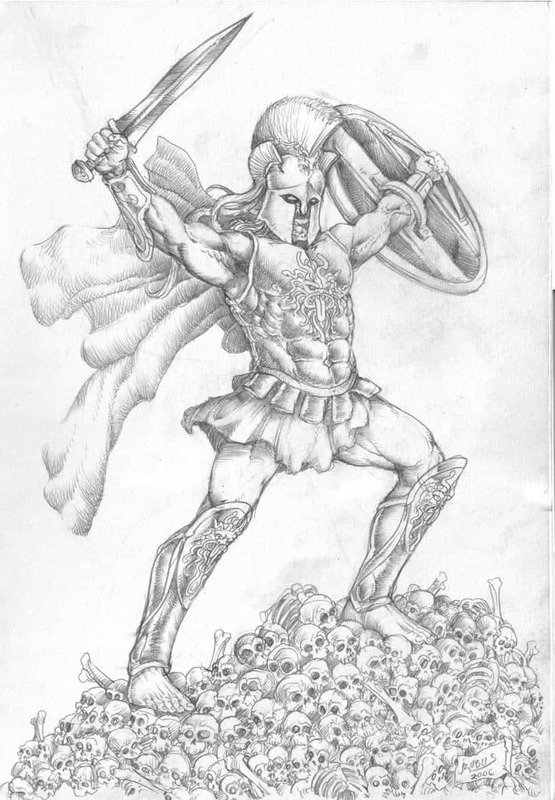 Ares was the often said to be the god of courage, partially by the Spartans who he was a patron for. Seems that the cowardice aspect was Athenian mud slinging. I hope if anyone is making a website about the Greek gods they will listen to my advise and also if you want to learn more about look out for the Percy Jackson series, the Heros of Olumpus, Percy Jackson and the Greek hero’s and Percy Jackson and the Greek gods. I like Percy Jackson. There are many ways of spelling Kronos, and Chronos is one too. However, it is true that Cronos and Prometheus aren’t gods, they’re Titans. True. All you have to do is search Greek gods and goddesses. I agree with Jay but I wouldn’t put it in that use of words. Ares was the Patron God of Sparta, I’m not sure if they teach this in Nepal but Sparta was the greatest city-state, utilizing perhaps the best political system ever devised by Humans. Artemis was also a Patron God of Sparta, and she does not even make this list yet you list 2 Titans that were not Olympians? First there was Chaos, he created Gaea and Ouranos. They birthed the titans who overthrew Ouranos. Then Ouranos cursed Kronos that he would be destroyed the same way. Kronos ignored him and when he gave birth to the gods he swallowed them all except for Zeus whom Rhea (his wife) hid. He tricked him into barfing up his siblings and there was a huge war and the Olympians took over the world. In conclusion titans are basically lesser gods that ruled before the gods themselves. How can Titans be lesser Gods while they gave birth to most Olympians? The definition of a Titan is a giant in Greek mythology. An example of a Titan is the character Goliath from the Bible. Titan means a very large or powerful person or thing. An example of a titan is the United States economy and how it affects the rest of the world. Titans are also called as gods the word titan describes their large personality. humans will born from humans and gods will born from the gods.they will not fall down from the sky.even 3 titans like cronous may destroy their whole son gods completely. Can somebody mention a movie wherein it includes any of the story of kronos and ares. I really wanted to hear the story behind those names.